A baptism is one of those precious moments in a baby’s life that even their own grandparents should not miss! 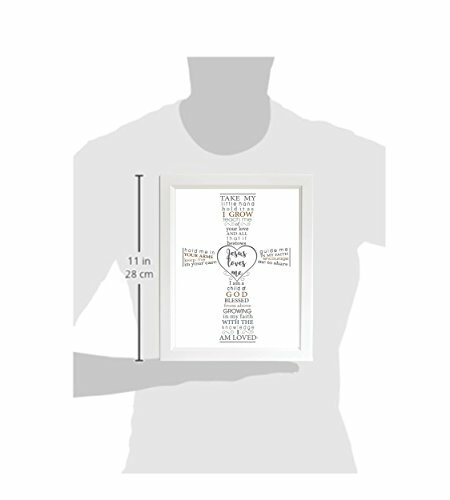 Give that adorable baby a proper welcome into the Christian world with this “Jesus Loves Me” white frame. 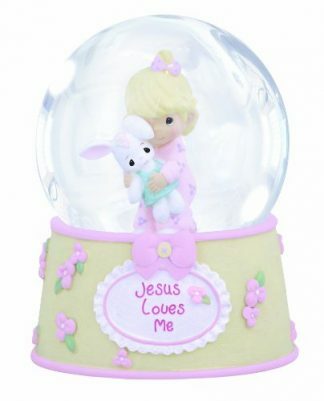 It contains a short prayer room, and it can be used as a room decor for either baby boy or girl. Babies grow up fast. Today it is still their dedication day, but the next thing you know, they are celebrating their 3rd or 5th birthday already! Babies don’t stay as babies forever – they grow and develop new skills by the day. That’s why it is important to cherish and make the most memories while your kids, grandchildren, or godchildren are still wee little bundles of joy. 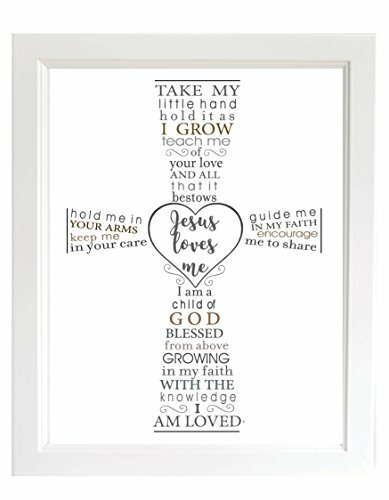 For dedication day or christening, you might want to make that event more special with this Jesus Loves Me frame. It has a short, lovely poem that gives comfort to both parents and child, and it is a great decor frame that can be displayed at the baby’s nursery room! 8×10 white sentiment frame for baby boy or baby girl’s room. For wall or shelf display. 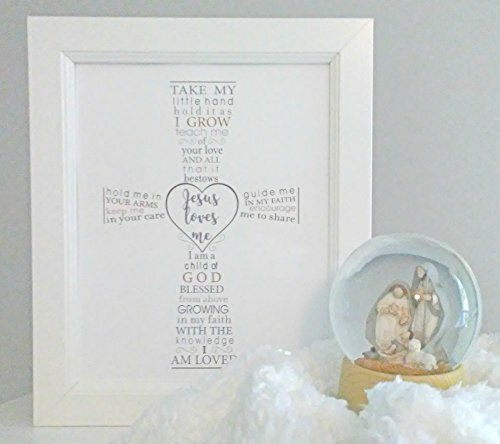 The 8×10 classic white frame for wall or shelf display features a unique Christian sentiment for baby. “Jesus Loves Me” is held within a heart and the sentiment creates the shape of a cross. The beautiful frame is a perfect Christian gift for baby or child’s christening, baptism, confirmation or other milestones and special days. The short poem and dedication are unique and originally made, with a copyright from Teri Harrison. 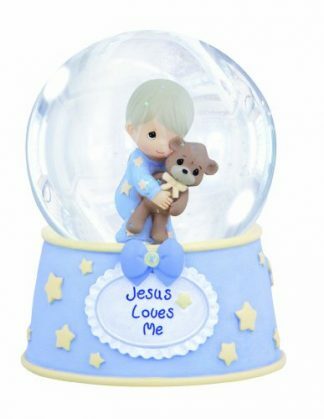 Babies might not exactly remember how their special dedication day or baptism went on, but with keepsakes like these, they will certainly cherish and appreciate how special they were in the lives of their family and loved ones. It is a great dedication gift that can be preserved for many years to come as a remembrance. 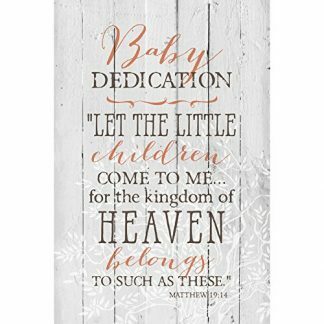 The child and their parents will certainly appreciate the thoughtfulness and joy you contributed on the day of dedication or christening, which only happens once in a baby’s life.